The Annapurna Circuit is one of the most famous trekking routes in Nepal! 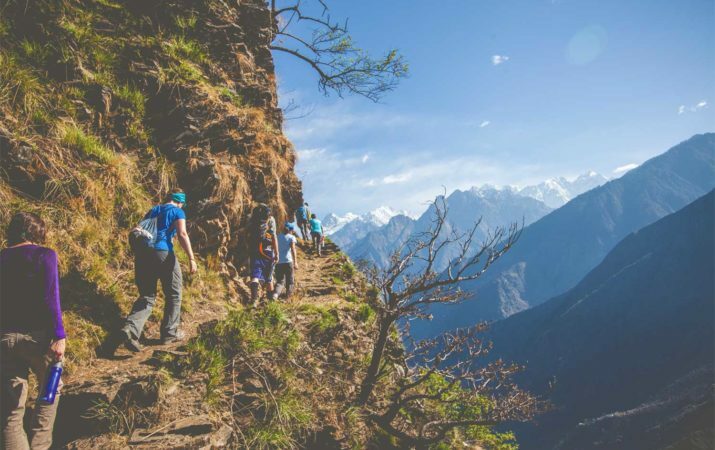 This trail traverses a variety of terrain in the Annapurna region while offering an amazing view of the Annapurnas, Macchupucchre, Dhaulagiri, Manaslu and Langtang Himal. This trail allows a gentler acclimatization as you traverse a variety of landscapes including jungle, high alpine, lush valley and arid peaks. Hospitable villages and the world’s deepest gorge are only a few highlights of this trek. Trekking the Annapurna Circuit includes hours of continuous mountainous ups and downs causing this trek to be classified as moderate. Timing is key for this route, as frequent changes in the weather can lead to heavy afternoon winds adding difficulty to this trek.